The best method of learning Spanish in Cuba is to participate in a program of Spanish Immersion Cuba. Learning Spanish in Cuba is a great adventure. In addition to the Spanish classes in Cuba, you will be able to enjoy a varied program of Spanish Immersion Cuba, with activities for the enjoyment of your free time. This program can be personalized or in a minigroup. 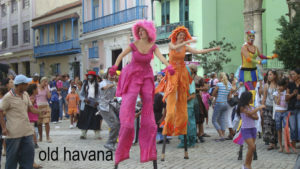 Being inserted into a program of Spanish Immersion Cuba is discovering a wonderful country full of history and tradition. Together with your Spanish lessons in Havana, you will be delighted with walks to the historic center of the city, declared in 1982 a World Heritage Site by UNESCO. Walk through its cobbled streets and admire the imposing architecture of past centuries. With the program of Spanish Immersion Cuba you will live very interesting moments and you will enjoy the magic of the city of Havana, declared Wonder City in 2017, a city where time does not seem to have elapsed and which maintains its charm in the balance of the antiquity of its constructions and the modernity of its people. You will know emblematic places of the city, part of the history and the Cuban tradition. 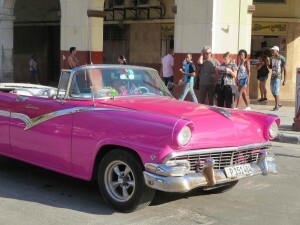 It will also make visits to secret places for tourists, but very popular among Cubans. In this way you will feel like a Cuban and you can put into practice the knowledge acquired in your Spanish lessons in Havana. If you prefer to discover Havana yourself, you will have at your disposal all the information and advice necessary for its development in the city. If you prefer contact with nature, this is your time to know the magic and exuberance of Cuban fields. 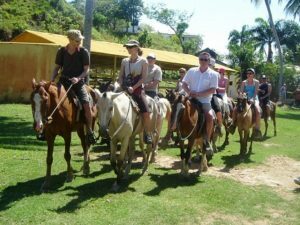 As part of the program of Spanish Immersion Cuba, excursions are made to different places in our country that are interesting for their cultural, historical, natural or social values. The trips to other Cuban provinces make possible the interaction with the rural life of the country and, in addition, the enjoyment of the beautiful Cuban country landscape. You will have at your disposal transportation service and accommodation outside of Havana. Posted in Spanish School Havana and Tagged Culture, Havana, Learn spanish, Sightseeing.